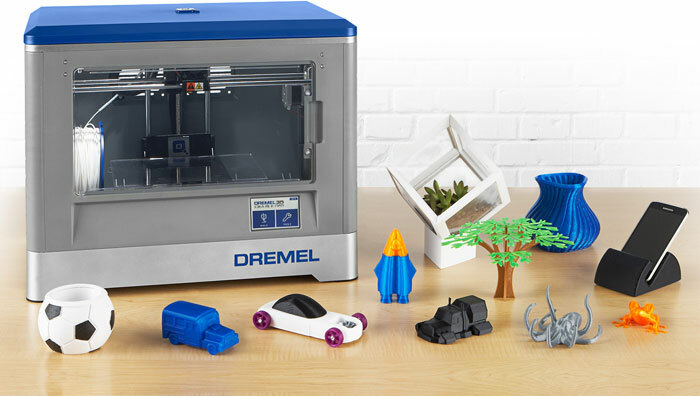 Desktop 3D printer sales were up by nearly 70 per cent in 2015. The significant boost in the popularity of these devices has coincided with the dropping of prices as the technology matures. 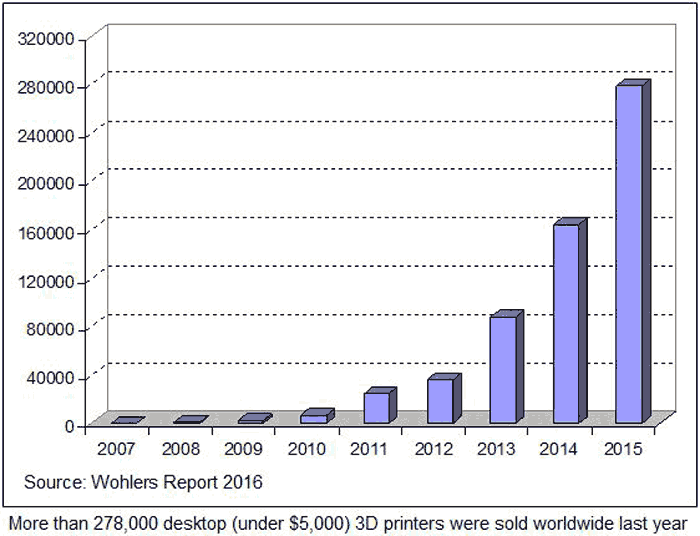 In a report by researchers Wohlers Associates, via ComputerWorld, a key statistic is that desktop 3D printer sales, of units with a retail price below $5,000, jumped from 163,999 to 278,385 from 2014 to 2015. The latest figures provide an attractive looking graph for the players in the additive manufacturing (AM) industry to extrapolate from. The AM industry has been collecting this data for 27 years and can boast an impressive 26.2 per cent CAGR. Currently the industry is worth $5.1 billion and it is expected to reach $12.8 billion by 2018. Wohlers suggests that sales are skyrocketing as prices are coming down but the capabilities of the machines on offer are improving. "Many of them produce decent models for early concept modelling of new designs," noted company president Terry Wohlers. Last year there were 62 companies selling industrial-grade (costing $5,000+) additive manufacturing systems - exactly twice as many as in 2011. This growth is spurred on by a change in manufacturing. 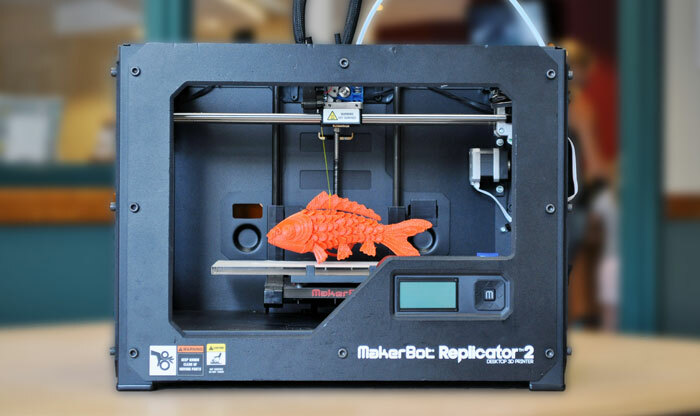 "The industry is transitioning from a prototyping past to a production future," explained Tim Caffrey, senior consultant at Wohlers Associates, and the principal author of the new report. "Opportunities for [additive manufacturing] in production applications are orders of magnitude greater than for modelling and prototyping." Caffrey concluded that "The money is in manufacturing, not prototyping." Getting hitched this year else I would've been part of last years figures! End of the year is definitely going to be buying all the “toys”!